Hello! It's Courtney Lee from Court's Crafts here and the ABC's are a big deal in my house. With daughters 4, 3, and almost 1.5 years they are constantly spelling, writing, memorizing, rhyming, and learning! 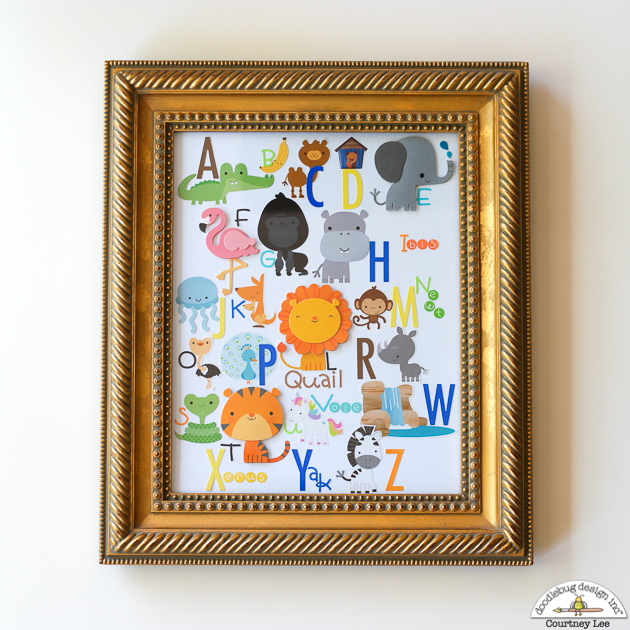 I thought this would be a SUPER fun thing for them to have on their wall and Doodlebug has SO many animals in their At the Zoo collection that I wasn't missing very many to make up the whole alphabet! 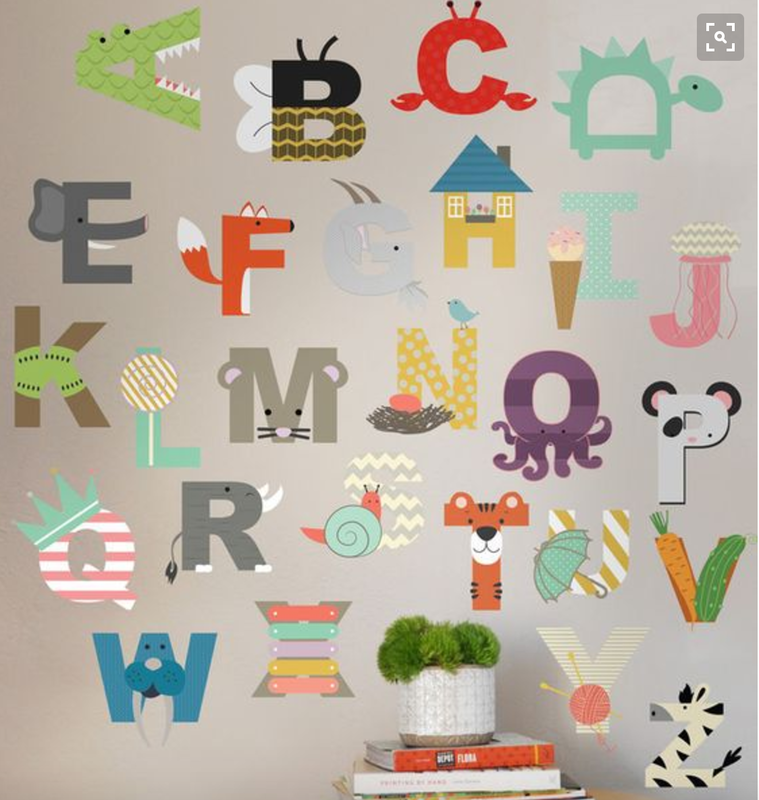 I was inspired by this set of wall decals HERE. It's already working! 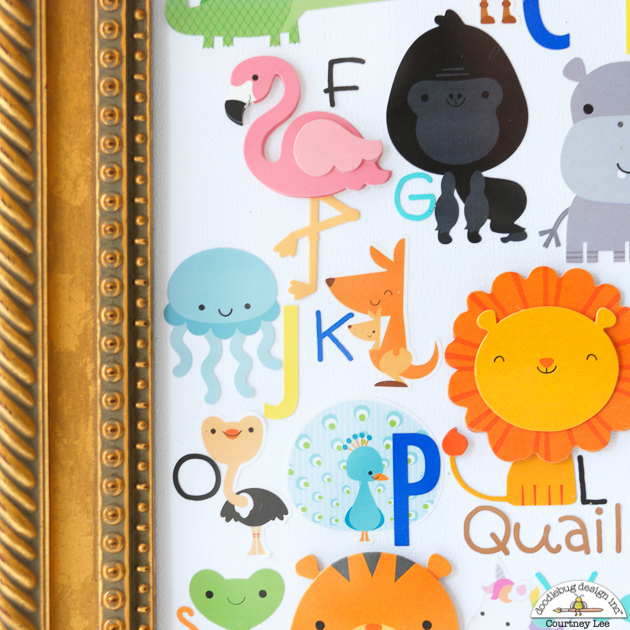 The girls are LOVING it and Charlotte (3) is learning her letters a la doodlebug! I mixed up doodle-pops, icons, and mini icons to make up the bulk of the animals. There is one shaped sprinkle (dog) thrown in there as well. My girls and I all love elephants so that was the obvious choice for E. Their other favorite peacock to watch videos of was the peacock and I really loved that little waterfall and wanted to get it in there as well. They LOVED that for W.
I did run into a problem for I, N, Q, V, X and Y. I googled all animals that began with those letters and they were few and far between! So I chose my favorite or shortest ones and used the upper case letter to emphasize it and the lower case letters to spell out the rest of the word. It worked nicely and gave the piece some visual interest. I borrowed the jellyfish from an older doodlebug line, but look at that fabulous flamingo doodle-pop and that adorable kangaroo and joey! To fit them all in I did measure out the letters on a paper next to it so I knew about how much space I had and I just worked from top left to bottom right line by line although for the waterfall, I wanted to make sure it fit - so I worked from right to left on that line. 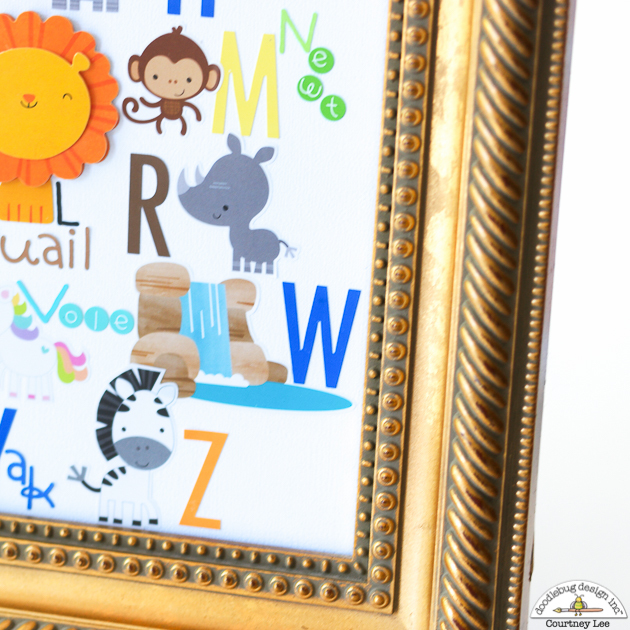 I hope you enjoyed this project and as I used letters that were gender neutral in color my girls can enjoy this and hopefully I can pass it along to someone else as a shower gift in the future! 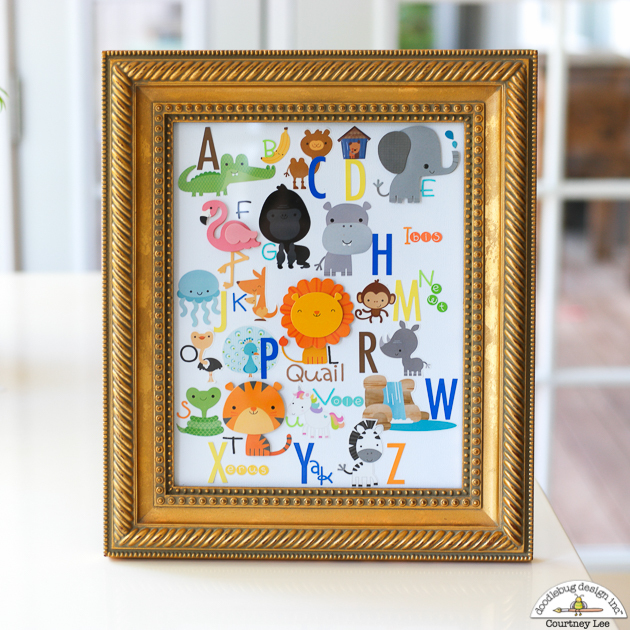 Animals are so "in" right now so grab some At the Zoo and craft up a storm! 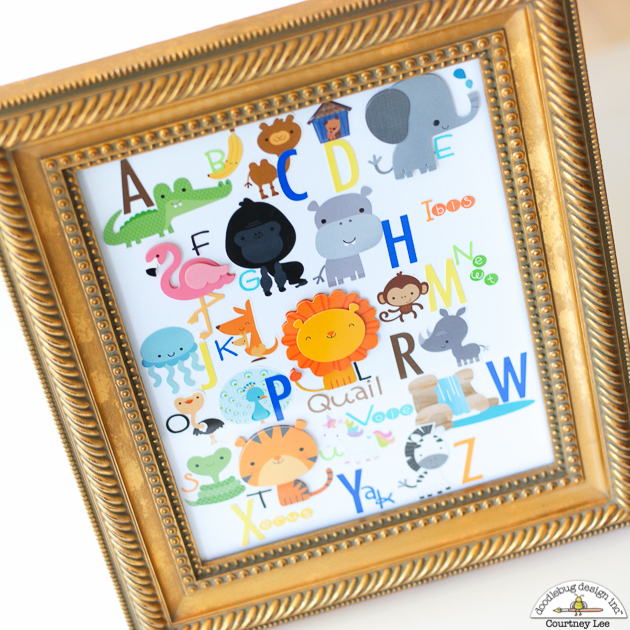 Great idea it would be a great baby shower gift. 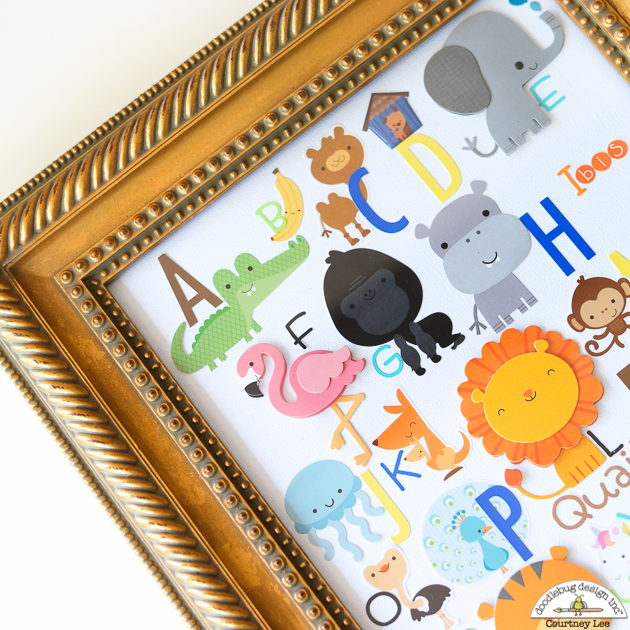 This is the cutest project, I have to make this for my grandson! !